Time for bed. iOS 12 lets you choose who can disturb you. Maybe the most important new feature of iOS 12 is something that helps you to do less with your iPhone, not more. If any other company had introduced Screen Time, the new system-wide toolset for limiting phone distractions, then it would (rightly) be dismissed as a gimmick, a sop to the increasing worries about phone addiction. But as is typical of Apple, Screen Time looks like it took a lot of work to get just right. Screen Time may seem to be about combatting app addiction, and reducing the amount of time “wasted” on your iPhone. However, taken together with the new Do Not Disturb settings in iOS 12, it’s more about putting users back in control of their iPhones. Screen Time is the catch-all name for new iOS 12 features that let you control notifications, monitor how long you spend using individual apps, and bring a special do-not-disturb while sleeping mode to iPhone. The most surprising thing about Screen Time is how deeply it hooks into iOS. Not only can you monitor how much time you spend in apps, or visiting specific websites, you can also set the iPhone to limit usage time for any of those apps. For instance, if you spend way too much time getting stressed out over your body image while viewing ab-tastic selfies on Instagram, you can have iOS 12 send you an alert to limit the time spent in the photo app. Screen Time also lets you see a weeklong report of your device usage, so you can really tell how you spent your time. This tracking is per-account, too, so it adds up the stats from all of your registered devices — iPad and iPhone together. This monitoring goes deep. A parent can access all these stats for their kids’ devices, and set limits accordingly, all from their own iPhone or iPad. Easily view and control how long you spend with apps and websites. 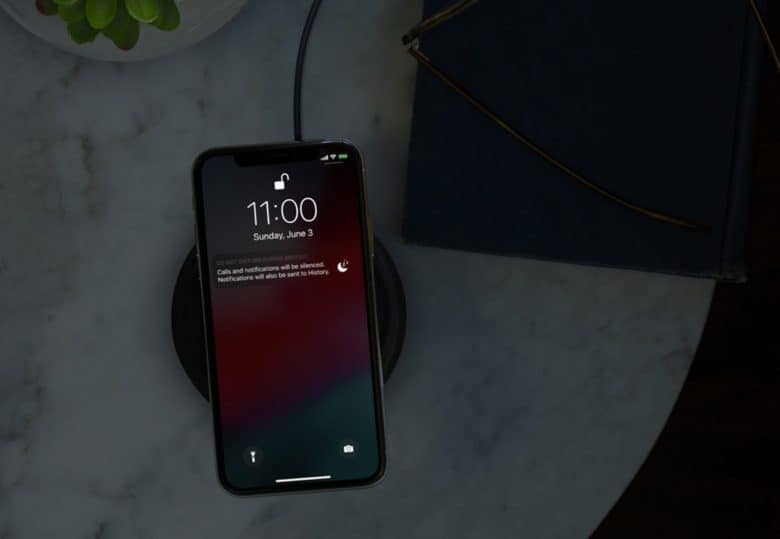 Did you ever wake up in the night, pick up your iPhone off the nightstand to check the time, and see a bunch of notifications from your boss, right there on your lock screen? Good luck getting back to sleep after that. Do Not Disturb already silences these alerts, but you can still see them if you make the mistake of looking at your device. iOS 12 goes further, letting you hide all lock-screen notifications, for example, sending them quietly straight to the Notification Center. That’s fine for geeks, you may say, but who’s going to bother setting up all these features? Apple has that covered, too. When you get a notification, you can customize how it shows up right there in the notification itself. If Apple had just added a lock-out timer to its Restrictions section, then you might argue that it was only reacting to bad press that smartphone makers should “do something about” excessive phone use. But this is clearly not the case. Screen Time is a clear continuation of Apple’s obsession with giving you control of your device: Privacy features stop websites from tracking you. Full-device encryption stops the cops, or any other thief, from stealing your data. Apple Pay makes credit cards safe to use. Then there’s health. The Apple Watch is the big driver of health applications, but the iPhone works as a great pedometer. And Night Shift already makes the device a lot easier on the eyes in the evening, when excessive blue light can interrupt sleep patterns. It will seem ironic to some that Apple is the company giving so much control to its users. Those folks like to complain about the “walled garden” of the App Store, or Apple’ dictating what can and can’t be done with its devices. But the trend is clearly the opposite. Apple continually takes ever-stronger steps to protect you from predatory social networks and advertisers. And now it is helping you to better control your use of the iPhone itself, both by giving you the data and tools to easily manage time spent and time “wasted,” and by protecting you from apps’ efforts to grab your attention 24/7.